Just popped over to National Geographic and this beautiful gem popped up. 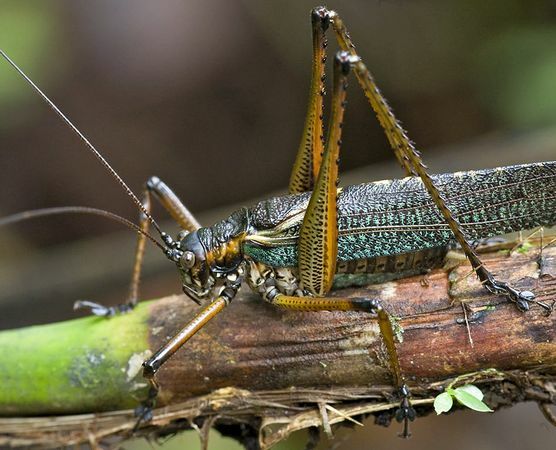 Once again, it's a brand new, so-new-it's-not-even-named, species of katydid. It was found in Sept of 2009 during expeditions to Papua New Guinea's Nakanai and Muller mountain ranges. The trips found 24 new species of frogs, 2 new mammals, and nearly a hundred new insects.